For Fit Sake Elsternwick group personal training sessions are an intimate and inclusive small group training environment with a focus on whole body strength, cardiovascular health and flexibility. 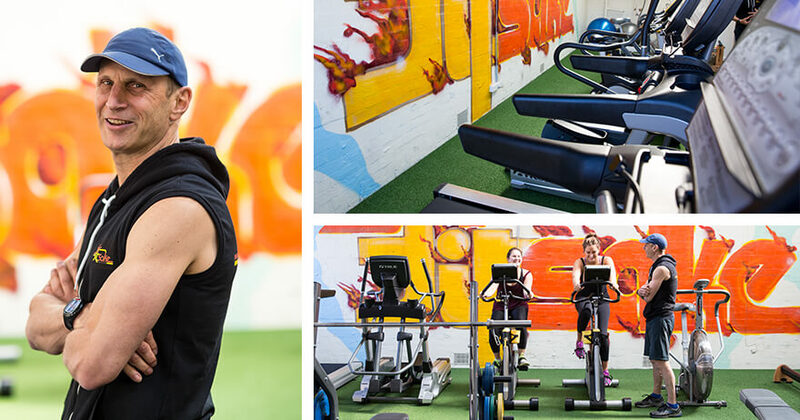 Located in the vibrant and bustling hub of Elsternwick, For Fit Sake Personal Training Elsternwick is the place to achieve and maintain good holistic health. Residing within a converted New York style garage space, For Fit Sake services clients of all ages and fitness levels; proving that a healthier and happier lifestyle is accessible and achievable by all. For Fit Sake has a team of qualified wellness trainers, they pride themselves on providing health and fitness solutions that are tailored to meet individual needs and goals. I started the Weight Loss Challenge in late January (yes, a belated New Year resolution!). In 6 weeks I have not only have lost 5 kilos however have finally realized that by making a few simple changes to my diet I can actually eat healthier. A gym that has staff always prioritising individuals needs & goals. Warm & friendly instrustors, technique-focused to ensure benefits are exercise achieved & injuries don't occur. Owner; Dave certainly a master on 'fitness & well-being' - a great role model himself! Excellent gym. Fun, engaging and exciting classes, and Trainers who will work with you to achieve your goals. I have been going for 2 years, and would definitely recommend to anyone looking for a gym. Great trainers, great workouts, friendly people who are hard working to make sure we get the best possible result from the workout. Highly recommend! All this awesomeness could be yours when you train with us for 21 days for only $21.